Get Out of Pain and Get on the Road to Good Health! CORE Chiropractic offers traditional chiropractic care to the Houston community. We want to help you get results quickly and conveniently. We only accept those patients for care that we sincerely believe we can help. Everything is explained to you before we begin treatment, including expectations and cost -- no surprises. Health is the key to a full life. Dr. Gregory E. Johnson, D.C.
Terry A Smedstad, D.C., is a chiropractor located in Houston, TX. Techniques: • Activator Methods • Chiropractic Biophysics • Cox • Pettibon • Thompson Take the next step and contact Dr. Terry A Smedstad, D.C., for a consultation in Houston, TX or to get more information. Sherry Durrett, D.C., is a chiropractor located in Houston, TX. Techniques: • Diversified • Applied Kinesiology • Cox • Body Restoration Technique • NAET Take the next step and contact Dr. Sherry Durrett, D.C., for a consultation in Houston, TX or to get more information. Cynthia J Holland, D.C., is a chiropractor located in Houston, TX. Take the next step and contact Dr. Cynthia J Holland, D.C., for a consultation in Houston, TX or to get more information. 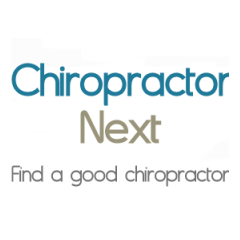 Jim Proctor, D.C., is a chiropractor located in Houston, TX. Take the next step and contact Dr. Jim Proctor, D.C., for a consultation in Houston, TX or to get more information. Walter G Cook, D.C., is a chiropractor located in Houston, TX. Techniques: • Diversified Take the next step and contact Dr. Walter G Cook, D.C., for a consultation in Houston, TX or to get more information. Dan Agbaroji, D.C., is a chiropractor located in Houston, TX. Take the next step and contact Dr. Dan Agbaroji, D.C., for a consultation in Houston, TX or to get more information. Stephen C Stinnett, D.C., is a chiropractor located in Houston, TX. Take the next step and contact Dr. Stephen C Stinnett, D.C., for a consultation in Houston, TX or to get more information. Clinton N Kinsey, D.C., is a chiropractor located in Houston, TX. Take the next step and contact Dr. Clinton N Kinsey, D.C., for a consultation in Houston, TX or to get more information. Shawna Hudson, D.C., is a chiropractor located in Houston, TX. Take the next step and contact Dr. Shawna Hudson, D.C., for a consultation in Houston, TX or to get more information. Timothy D Zeller, D.C., is a chiropractor located in Houston, TX. Techniques: • Diversified • Trigger Point Therapy Take the next step and contact Dr. Timothy D Zeller, D.C., for a consultation in Houston, TX or to get more information. Benjamin L Beard, D.C., is a chiropractor located in Houston, TX. Techniques: • Diversified Take the next step and contact Dr. Benjamin L Beard, D.C., for a consultation in Houston, TX or to get more information. Travis Mc Claugherty, D.C., is a chiropractor located in Houston, TX. Take the next step and contact Dr. Travis Mc Claugherty, D.C., for a consultation in Houston, TX or to get more information. Thelma Cockrell, D.C., is a chiropractor located in Houston, TX. Techniques: • Diversified • Sacro Occipital Technique • Activator Methods Take the next step and contact Dr. Thelma Cockrell, D.C., for a consultation in Houston, TX or to get more information. Delida Morgado, D.C., is a chiropractor located in Houston, TX. Take the next step and contact Dr. Delida Morgado, D.C., for a consultation in Houston, TX or to get more information. Jesus E Garcia, D.C., is a chiropractor located in Houston, TX. Take the next step and contact Dr. Jesus E Garcia, D.C., for a consultation in Houston, TX or to get more information. Peter B Pedersen, D.C., is a chiropractor located in Houston, TX. Take the next step and contact Dr. Peter B Pedersen, D.C., for a consultation in Houston, TX or to get more information. Sonya Torres, D.C., is a chiropractor located in Houston, TX. Take the next step and contact Dr. Sonya Torres, D.C., for a consultation in Houston, TX or to get more information. Hamit Sohrabin, D.C., is a chiropractor located in Houston, TX. Take the next step and contact Dr. Hamit Sohrabin, D.C., for a consultation in Houston, TX or to get more information. Brad Downey, D.C., is a chiropractor located in Houston, TX. Take the next step and contact Dr. Brad Downey, D.C., for a consultation in Houston, TX or to get more information. Joe Vu Dung, D.C., is a chiropractor located in Houston, TX. Take the next step and contact Dr. Joe Vu Dung, D.C., for a consultation in Houston, TX or to get more information. William Nicol, D.C., is a chiropractor located in Houston, TX. Take the next step and contact Dr. William Nicol, D.C., for a consultation in Houston, TX or to get more information. Leslie M Carlson, D.C., is a chiropractor located in Houston, TX. Take the next step and contact Dr. Leslie M Carlson, D.C., for a consultation in Houston, TX or to get more information. Martha Florez, D.C., is a chiropractor located in Houston, TX. Take the next step and contact Dr. Martha Florez, D.C., for a consultation in Houston, TX or to get more information. Darrell Lindsay, D.C., is a chiropractor located in Houston, TX. Techniques: • Gonstead • Sacro Occipital Technique • Applied Kinesiology Take the next step and contact Dr. Darrell Lindsay, D.C., for a consultation in Houston, TX or to get more information. Patience Alabi, D.C., is a chiropractor located in Houston, TX. Techniques: • Diversified Take the next step and contact Dr. Patience Alabi, D.C., for a consultation in Houston, TX or to get more information. Michael A Gray, D.C., is a chiropractor located in Houston, TX. Take the next step and contact Dr. Michael A Gray, D.C., for a consultation in Houston, TX or to get more information. Julian L Evans, D.C., is a chiropractor located in Houston, TX. Take the next step and contact Dr. Julian L Evans, D.C., for a consultation in Houston, TX or to get more information. Tracy L. Romick, D.C., is a chiropractor located in Houston, TX. Techniques: • Diversified • Applied Kinesiology Take the next step and contact Dr. Tracy L. Romick, D.C., for a consultation in Houston, TX or to get more information. Stephen Harris, D.C., is a chiropractor located in Houston, TX. Techniques: • Advanced BioStructural Correction • Diversified • General Chiropractor Take the next step and contact Dr. Stephen Harris, D.C., for a consultation in Houston, TX or to get more information. Shawn Davis, D.C., is a chiropractor located in Houston, TX. Take the next step and contact Dr. Shawn Davis, D.C., for a consultation in Houston, TX or to get more information. Stephanie McGhee, D.C., is a chiropractor located in Houston, TX. Take the next step and contact Dr. Stephanie McGhee, D.C., for a consultation in Houston, TX or to get more information. Michael V Smith, D.C., is a chiropractor located in Houston, TX. Take the next step and contact Dr. Michael V Smith, D.C., for a consultation in Houston, TX or to get more information. Brenda Hassebrock, D.C., is a chiropractor located in Houston, TX. Take the next step and contact Dr. Brenda Hassebrock, D.C., for a consultation in Houston, TX or to get more information.